Mendocino County is mostly rural, and its extensive patchwork of public lands encompasses everything from national forests and state parks to dog-friendly preserves administered by the Bureau of Land Management. If you and your well behaved, always-comes-when-called pup prefer to wander together without being tied by a leash, head to Stornetta Public Lands, a 1,665-acre coastal haven near Point Arena, where you’ll also want to check out one of the West Coast’s most iconic lighthouses. Part of the California Coast National Monument proclaimed by President Barack Obama in 2015, the Point Arena Stornetta unit hugs two miles of rugged coastline on the continent’s edge. As you follow the bluff-top trail, look for seals cavorting below, feathered friends soaring above and a panorama of sea-washed rocks, dunes and clusters of mini-islands extending into the distance. Be sure to keep your four-legged companion either leashed or under strict voice control; no chasing or harassing of wildlife allowed. The 115-foot-tall Point Arena Lighthouse, on a spit of land jutting almost two miles into the sea, is a scenic presence built in 1879, destroyed in the 1906 San Francisco earthquake and reconstructed starting the following year. Leashed dogs can accompany you on the grounds but not on tours that lead up a spiral staircase to the top of the structure. For a true, only-in-California adventure, reserve one of four pet-friendly vacation rental units on lighthouse grounds and revel in the drama of watching the light rotate over the crashing sea in the dead of night. Elsewhere in Mendocino County, legal places to hike with your dog off-leash are few and far between outside national forest lands. 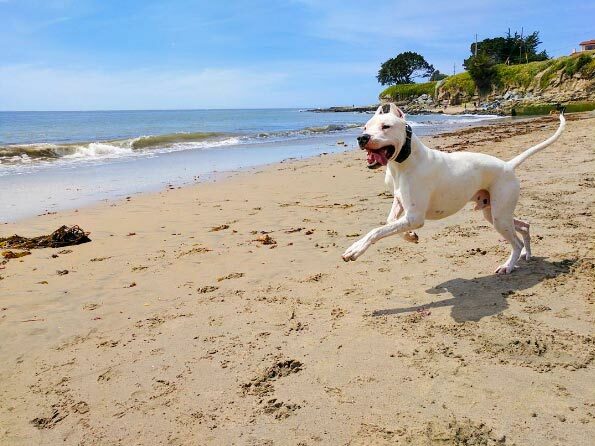 Noyo Beach Off-Leash Dog Area in Fort Bragg is a point of pride that took years for local advocates to persuade city officials to develop. 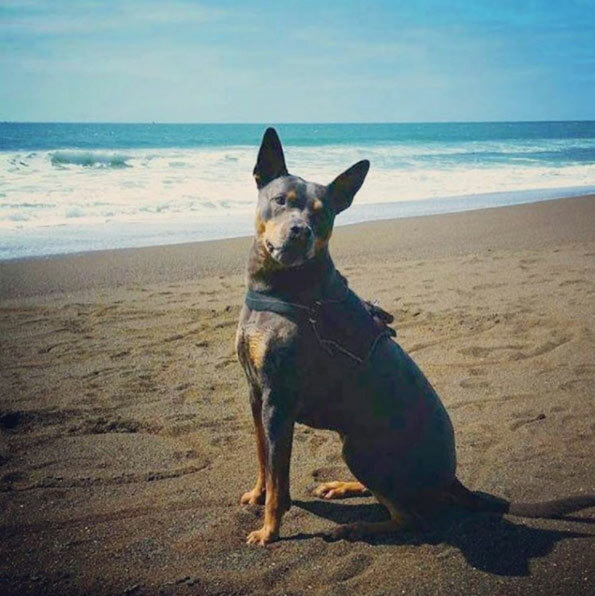 It and Seaside Beach, six miles up the coast, are about it when it comes to ocean strands where dogs legally can chase the surf untethered. For more contained fun, check out the big (about the size of a football field, with a smaller section for small dogs) off-leash dog park in Fort Bragg.